The prevalence of pet stores remains a problem despite the common knowledge of their inhumane practices. By spreading the word I hope to encourage more people to keep on walking when they see those puppies in the pet store – don’t give your business to an industry that supports animal cruelty. When I walk by a pet store my feelings are always the same – I start feeling bad for all those little puppies stuck in cages. I have to tell myself to keep walking, ignore all those cute puppies and just keep walking. I know that if I enter the store I’m doomed; I’ll start to feel really bad for the little puppies and start thinking about how I could save them, or at least give them a nice loving home where they’re not stuck in a cage all day. Humans have many of the same nurturing instincts when we see a puppy that we do when we see a baby. When we see something cute like a puppy our brains release dopamine which is the chemical involved when we fall in love, and it’s associated with a rewarding feeling. So if you find it hard to resist gravitating towards all those cute puppies in pet stores you’re not alone – it happens to many of us. If you enter a pet store and talk to the clerk they’ll start to tell you how great all those puppies really are; they’re from reputable breeders, they’re healthy and well socialized, they come with papers, and they’re $300 off. Behind every cute pet store puppy there’s a mother dog – and 99% of the time she’s a puppy mill mother, living a life whose only purpose becomes making puppies for profit. Before you walk into another pet store remind yourself that they are in fact just a store – they’re out there to make a profit. Their industry supports practices that are cruel to the animals involved. They’ve heard the complaints about pet stores before and they’re well equipped to tell you what you want to hear if it means you’ll buy that Yorkie Poo for $1200; $300 off from the retail price. Yes pet stores practice the same pricing schemes as any other store – mark up and then convince you $300 off is a really great deal. 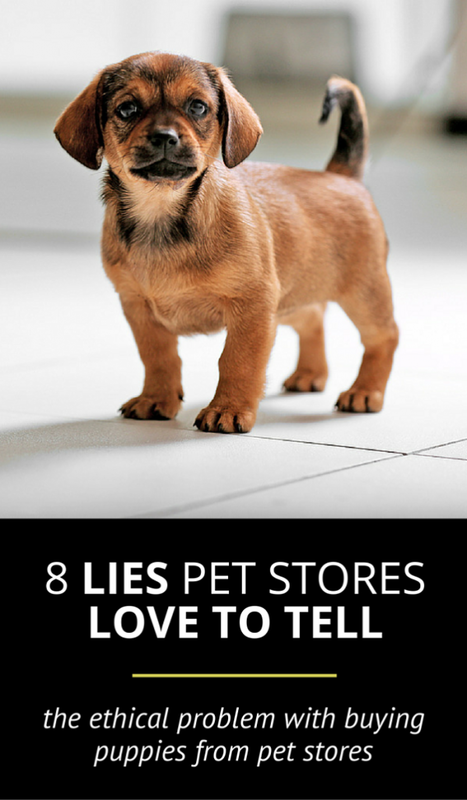 From where they get their puppies to their health guarantees I’ve compiled a list of the common lies pet stores like to tell. 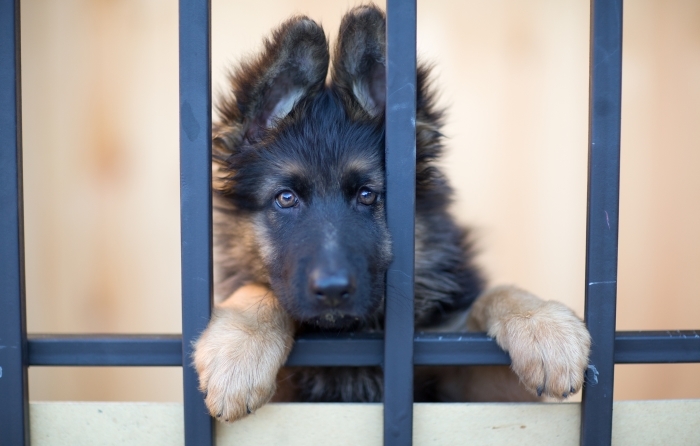 The USDA considers a cage 6 inches wider than the dog an appropriate place for the dog to live. Pet stores like to say that their dogs come from reputable breeders because they’re licensed. 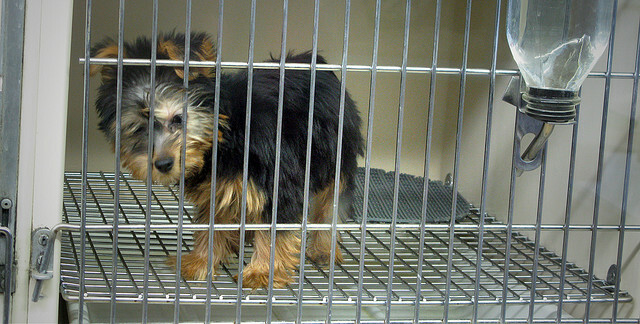 Roughly 90% of pet store puppies are bought from puppy mills. Even though these puppy mills are often licensed and inspected it doesn’t mean that the conditions of the animals involved aren’t cruel. USDA licensing doesn’t count for much when it comes to humane conditions – but it is a requirement of the Animal Welfare Act that passed in 1966. The USDA standards are what I would consider cruel and inhumane. They pretty much support the survival of animals – providing food, water, and shelter but nothing more. 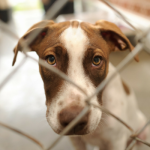 Many of these breeding facilities have been found to be in violation of even these basic standards and yet it remains extremely rare for the USDA to revoke a license or even fine the facility. Each state also has their own regulations – you can find out more by reading the puppy mill laws by state. Some pet stores go so far as to tell you they know the breeders they work with. Ask for documentation. Often times you’ll find puppies have been shipped from other states by a broker. So when they say they know their breeder it usually means they’re familiar doing business with them. Most store owners have never been to any of the breeding facilities or inspected them himself. Pet stores like to tell you their wide variety is unique to them. You know who pet stores really love? People who go in and buy their puppies impulsively. Yes they have a large selection because they pick and choose which breeds to buy at any given time – they’re buying from puppy mills and turning a big profit off of the cruel practice of mass breeding. If you buy into the fact that you have to have your puppy now I suppose this logic might work. Pet stores list their puppies online – you can browse through all their lovely puppies from the comfort of your own home. Did you know that there’s a few sites out there that also let you browse shelter pets? You can browse by age/breed/gender/house trained/likes dogs – the list goes on. 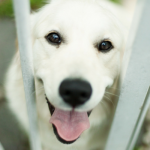 Petfinder is the most popular choice but there’s also Adopt a Pet, The Shelter Project, Petango, and even Overstock. Keep in mind there will always be a demand for puppies over adult dogs – some shelters don’t list their puppies online because they know it won’t take long for them to get adopted. If you’re looking for a puppy it’s best to check in person or call your local shelter and inquire about available puppies – some will give you the option of putting you on a waiting list for specific breeds. Not only are you saving a life when you adopt rather than buy you’re also more likely to find a better suited pet for your needs – rescue groups often foster their dogs and puppies meaning you’ll have more in depth knowledge of the puppies personality. Simple enough? Just trade in your sick puppy for another one. The wellness screening many pet stores offer is simply a record of vaccinations. There’s rarely any checks for genetic disorders, parasites, or diseases. A lot of pet stores have an approved veterinarian that you can take your puppy to within the first 2 to 10 days for a health screening. If they find anything wrong with your new pup the store might reimburse you for medical costs, or they may even let you return your puppy for a refund. This claim varies widely by store but there’s one common theme; you can almost always return your puppy if they’re unhealthy. Sure I’ve returned appliances that don’t work but something tells me returning a puppy would be a little more difficult. Owners of sick pets can attest how difficult it is dealing with a pets health issues, but just returning a pet for another isn’t an option – we form quick bonds with these new members of the family. There’s nothing wring with being registered – but for the average pet owner it doesn’t mean much. A pet store that offers AKC registration does not actually mean there’s any real added value to your specific puppy — it just means his relatives were registered. There’s no health screening, structure, or temperament tests needed. Having papers means that your puppies parents both had papers, and many puppy mill dogs are actually registered. When you register your dog with the AKC you send them money; they check to see if your dogs parents and grandparents were registered. If everything checks out and your puppies family sent money to the AKC you will be added to their registry and you’ll receive a certificate in the mail. If you’re not going to show, breed, or have your dog compete in any registered sporting events you don’t need to have your dog registered. It’s simply a way to trace back a dogs heritage through a registry. I wish I was kidding about this one – apparently we have a declining pet population that pet stores are going to fix. I don’t think I’ve ever seen such a ridiculous claim, even by pet store standards. They’re logic is that because some dogs are imported into the United States we’re facing a declining pet population crisis. It is true that there are some rescue groups that work internationally to save dogs and cats, and yes they do ship them to the U.S. What isn’t true is that it’s because we’re running out of adoptable pets here. Many of these groups import certain breeds or work with a certain community to help them with their own pet population problems. How pet stores want us to make the leap from rescues importing dogs = running out of pets is beyond me. 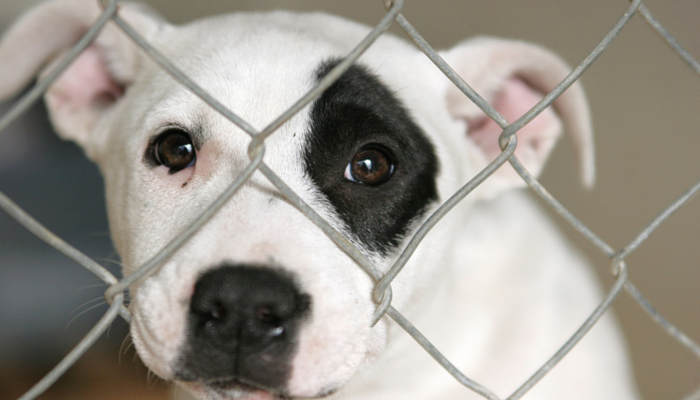 It takes two seconds to find out that 2.7 million dogs and cats were euthanized in U.S. shelters in 2013. We have come a long way decreasing the euthanasia rate of healthy pets over the past few decades but 2.7 million is no indication that we’re running out of adoptable pets. Their pet “counselors” are hired in as sales counselors. I have no problem with high school kids making some money at their first job – but that’s not who I’d trust to tell me if the puppy I’m looking at is good for my family. I did want to know what “written material” they are referring to but I haven’t had my e-mails or calls returned. If you’re interested in a specific breed find a reputable breeder or rescue group. They’ll be able to provide you with more relevant & useful information on their dogs than a pet store will. In fact really good breeders care so much about their breed that they won’t just give a puppy to the first person that comes in with money; they’ll want to make sure you’re a good enough for their puppy. Repeat customer business? How many puppies will you buy in a lifetime? I don’t really consider repeat business as an option when it comes to buying pets – unless we’re measuring it in many years between puppies. What makes pet store puppies well socialized? They spend all day in a cage, some of them with a few other puppies. Sure some customers come in and play with them but it’s certainly not normal socialization. I don’t like anyone that underestimates the dangers of not properly socializing puppies. To assume that your brand new pet store puppy is already well socialized is ridiculous. If the puppies came from puppy mills (which they almost certainly did) they didn’t have any proper socialization before they came to the store. They’re kept in small cages, they don’t get to run around and explore like the puppies from reputable breeders do. Once they’re at the store they’re kept in their cages – it’s where they eat, sleep, and eliminate. I don’t know how this constitutes proper socialization. Anyone who adds a puppy to their family should realize that lack of proper socialization can lead to many potential problems with fear and or aggression. There’s a critical period for puppies under 3 months of age where socialization is critical to reducing the chance of having behavioral problems later. The University of Pennsylvania released a study that found pet store puppies come with an increased risk of behavioral problems. The widest variety does not equal highest quality. Pet stores do have many purebreds – this is true. What isn’t true is that pet stores are the only place to find purebred puppies. If you absolutely have your mind set on getting a certain breed of puppy go through a good breeder. If you are looking for a certain breed don’t discount rescues and shelters – around 25% of dogs in U.S. shelters are purebred. 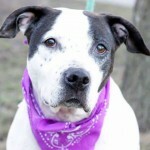 There’s also many breed specific rescue organizations out there. Many shelters and rescues are willing to accept applications for potential dogs meaning that if they don’t currently have the Bulldog you’re looking for they’ll call you when they get one and see if it’s a good match. 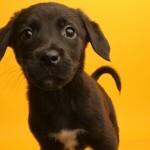 I know it can be hard to wait if you’ve made the decision to add a new dog to the family – but don’t buy one impulsively. People spend more time researching their next car purchase then their next dog, and millions of pets are rehomed each year. Make sure you do the research before adding a new pet to the family. Despite what pet stores claim they almost always buy their puppies from puppy mills. If we continue to buy from pet stores it’s going to keep puppy mills in business. We need to look past the cute face in the pet store and remind ourselves of the unethical conditions that led to him being there. Whenever you feel the urge to buy a pet store puppy just walk away – not giving them business is a choice – and it’s one simple way to take a stand against cruelty. How Do You Feel About Pet Stores? Do you have a hard time walking by them without feeling bad like I do? Do you have a lot of pet stores in your area that sell puppies? What do you think we can do to put and end to the puppy mill industry? Is shutting down the remaining pet stores enough? I’d love to hear your thoughts on the subject. Despite their claims over 90% of puppies in pet stores come from puppy mills. « Shylo the Sweet Beagle is Waiting For His Second Chance – Adopted! Thank you for bringing attention then truth of it all. Ugh, there is still a pet shop at the mall in Fargo where I used to live. There is one in my parents’ town in Wisconsin too. One of the things they would always say when I went in the Fargo store was “our puppies are from registered breeders.” Well, sure, that might sound good but it doesn’t really mean a whole lot 🙁 Plenty of puppy mills are “registered” I’m sure. They also sell kittens in both locations. The prices are always so high too. Some good friends of mine bought a puppy from the Fargo shop because they did not feel comfortable doing a home visit with the local rescue groups. While the rescues were not very helpful, the pet shop workers were (of course) very helpful and had no problem selling them a puppy. So, I do think rescues and shelters need to evaluate their adoption process and make sure it is reasonable. Thankfully, the puppy they got is a great dog and healthy. She is about 4 years old now. I agree – the prices are high and it’s so misleading to throw around the word licensed when we’ve all seen the horrible conditions such licensed breeders are help up to. I’m glad your friends puppy is doing well; I wanted to make sure that I wasn’t claiming that pet stores purposefully sell sick puppies. It’s just that the exams they go through are very basic and are nowhere near as comprehensive of what a good breeder would do. Lots of genetic diseases are missed and unfortunately for the owners it can be heartbreaking. Luckily, in our area, there are fewer and fewer pet stores that sell puppies or dogs. I think your point about licensed breeders and registered dogs mislead so many people into thinking the dogs don’t come from puppy mills. I love it when I see pet stores offering only adult shelter dogs for adoption. Everyone loves puppies, but it’s just as easy to fall in love with an adult dog. I really hope some stores follow that trend of adopting out rescues – it really does work. And yes, it is sad that because a store can say their breeders are USDA licensed it really doesn’t count for much. Many of the horrible puppy mills I’ve read about were in fact licensed. I can’t remember the last time I was in a pet store that sold puppies that were not rescues. I will dispute that there is not a benefit to buying a papered dog. One thing you know for sure with a papered dog is that it is in fact purebred. You should be able to trace back to the beginning of the breed. If you know the parents, grandparents and so on a couple generations back you really can do some research and take an educated guess at what you are going to get. So when you buy a pup with AKC papers, you are not buying the future, you are buying the past, if that makes sense. Does not matter if you register. If there are any titles on the ancestors, it will show up on the pedigree and with online databases, you can seek out health clearances. Maybe not your dogs’ parents if they were not done, but further back. One thing I will never understand is the people who pay top dollar for “hybreds” which are actually mutts. Pet stores do sell their fair share of those. I know AKC and UKC registries (all of our dogs are registered with both) but what are the other ones you mentioned? I think the point that I was trying to get to (which I’m sure I’ll end up editing to reflect is) is that AKC papers are good for knowing you’re getting a purebred but not a guarantee for anything health wise. After talking to some pet store clerks I’ve noticed that they tend to lump the two together – quickly stating that their dogs come with AKC papers if you choose to register and the health certificate comes as well. Which I don’t know if they’re trying to be misleading about the sorts of things their health check tests for or not. I can only assume people think that a registered dog with a health certificate has probably been tested for genetic problems which in the case of pet stores they’re typically not. They’re usually only given a wellness check and vaccines which in and of itself is fine but it doesn’t cover any further testing. With breeds like Bulldogs and King Charles Cavaliers that have some major genetic problems I don’t want people to be misled into buying a puppy that they believe has been tested for major issues. It just causes heartbreak for the owners. Oh I see what you are saying. You are right, AKC papers do not equal health checks. That is for sure. If I ever find free time, I plan to continue my canine health screening series. I have never heard of those other two registries. I am not sure either are worth the money to register. When you think AKC goes back to the 1800’s and the one started in 90’s! AKC does have ways to resurrect papers. There is a charge, but you can do it. I love your health series; but I know from reading them that they’re not just something you can simply put together quickly. I definitely admire your dedication to the important subject – it’s something that not enough of us know about. I love the information I’ve gained from your series. And as far as pet stores go I know I can’t prove their intent but I don’t like the way they seem to clump all their guarantees and registries together; it really does give potential buyers peace of mind when it probably doesn’t encompass nearly as much as they’re led to believe. And as far as the ACA & APR I hadn’t heard of them either until I started looking at pet store websites. I definitely want to make sure the info I am sharing is correct and I also check to make sure that there hasn’t been any new research. It is time consuming and I don’t always have access to the net. The next one is going to be PRA and that one should be easy. Maybe I can write it this weekend…we will see. Luckily, I haven’t seen a pet store that sells pets in a long time, but this is great information! I’m extremely interested in knowing the types of questions everyone has for pet stores in order to decide if this is a “quality place” or not. I’m seeing a lot of “almost always” and “90%” of the time and it makes me wonder if you can even accept that some places do not do business this way and how would you weed the– admittedly few– good ones out from the bad ones. Also, for learning and argument’s sake I’d love to see any proposed changes that anyone has in mind to make pet stores an overall more reputable and trustworthy industry. We’ve obviously identified the problem(s)…. what I’m concerned about is the solutions. I have never supported any pet store that sells puppies, kittens, or even rabbits. If it has a heart and feelings then it shouldn’t be used to earn profit , or live in cages. Society doesn’t allow the selling of children who have a heart and feelings so why is it legal to sell animals. I don’t agree with it, understand it or condone it. All my animals have always been rescues and I won’t “pay” someone for them like a commodity. It’s cruel, disrespectful and unnecessary when there are so many beautiful animals just wanting to be loved and to have a safe, good home. Shame on pet stores and puppy mills.